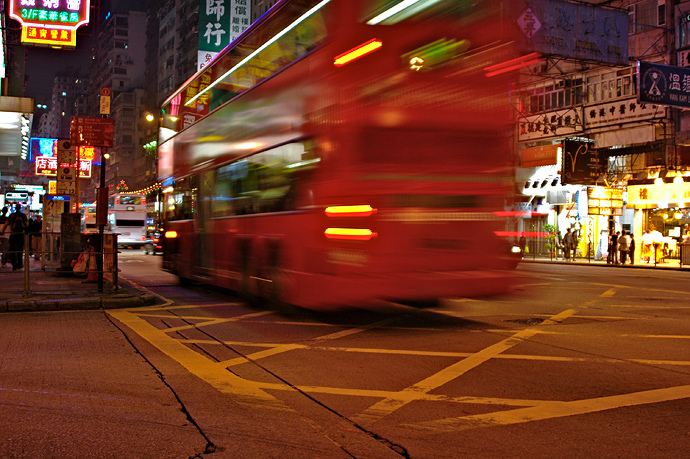 Busy street in Hong Kong’s Kowloon district. Missed the bus, but you got a great shot. Nice lighting and exposure.